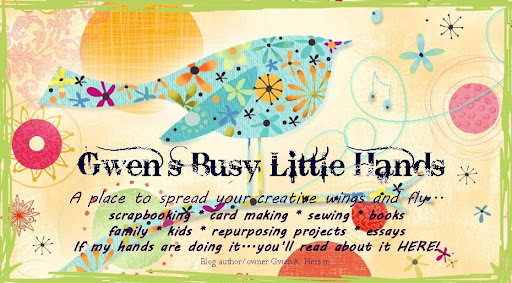 Gwen's BUSY LITTLE HANDS: Sale at Claudia & Co.
Sale at Claudia & Co. Okay ladies and gents there is a whopper of a sale going on at Claudia & Company. You can save up to 40% on some of your favorite supplies. Why not get some great savings and help Claudia create space for all of the new CHA goodies that will be introduced to the store soon? You've got until the 28th.